Canada and the United States are currently vulnerable to an imminent threat that could “topple the pillars of civilization”, says the executive director of the EMP Task Force on National Homeland Security, a U.S. Congressional advisory board. In a recent trip to Toronto, Dr. Peter Pry discussed the importance of protecting North American infrastructure from an electromagnetic pulse (EMP) attack the effects of which would be devastating. A well-planned attack would be “a mortal threat to the West,” says Pry, who’s studied the issue since doing his doctorate in strategic studies and then becoming an analyst with the CIA, where he was their EMP point man. In 1962 the U.S. government conducted a high-altitude nuclear missile test in Hawaii known as Starfish Prime. One of the results that puzzled researchers was why the lights were knocked out and the underground sea cables damaged. That’s when they became aware that one effect of a nuclear explosion was super-energetic radio waves that carried many thousands of volts. If they hit electronics, they’d be fried in mere nanoseconds. The common worry with a nuclear weapon is the on-the-ground explosion it makes. But researchers realized an EMP blast above the ground could have a much different, and arguably worse, impact. The higher up it detonates, the wider the field. “If you can come up 300km in the centre of the USA, it will cover all the states and the edge will hit Canada. All with one bomb,” Pry says, who later worked with Congress for the House Armed Services Committee where he continued his research. While there are zero deaths from the actual explosion – which is in the air – the EMP field would fry the entire electrical grid. The power transformers are knocked out. Cars shut off. Traffic lights stop. 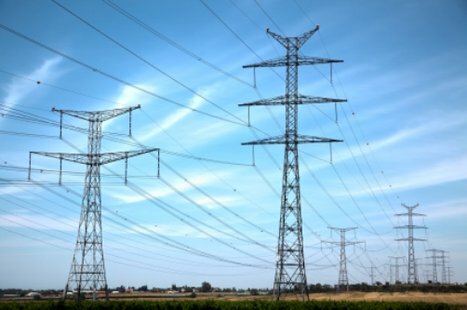 “When the EMP field is created over the whole country it’s being injected into all your pipelines, all the railroad tracks, all the power lines, all the energy lines,” says Pry. “Naturally, it will cause everything electronic to collapse. This thing threatens the very existence of our electronic civilization. And we are an electronic civilization – everything depends on..